Lot of new traders get confused on difference between shorting a Call Option and buying a Put. Almost all new traders buy a Put when they feel a stock will fall down instead of shorting a Call. Note that in technical terms the objective of both trade is the same – to make money when a stock falls. The trader can either buy a Put or sell a Call, if correct both makes money, however there are some differences. On paper shorting a Call has unlimited risk and limited profit and buying a Put has limited loss but unlimited profits. Today 11-Jan-2017, at 11.09 am, INDUSIND BANK LIMITED stock is up by 4.54%. 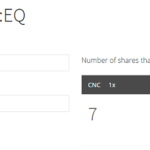 It is quite obvious that lot of traders will be trading this stock in Equity, Options and Futures. Depending on their view they may buy or sell. Lot size of INDUSINDBK is 600. Trader A feels INDUSIND BANK LIMITED stock will fall as it has already risen almost 5%. He sells or shorts INDUSINDBK Strike 1,200 ONE Call Option expiring on 25-JAN-2017 at: 30.95. 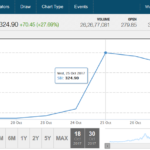 His maximum profit if on the expiry day 25-JAN-2017, INDUSIND BANK LIMITED stock cash price closes at Rs.1200 or below. It is clear the more INDUSIND BANK LIMITED stock goes up from 1200 on expiry day, the more losses Trader A will have to take. How to limit the loss? 1. Hedge the call option sold. You can learn proper hedging strategies here. 2. Trade with a plan and exit when stop loss is hit. Most traders do this but hedging is much better way to limit losses than trading naked options especially if the trade is a positional trade. 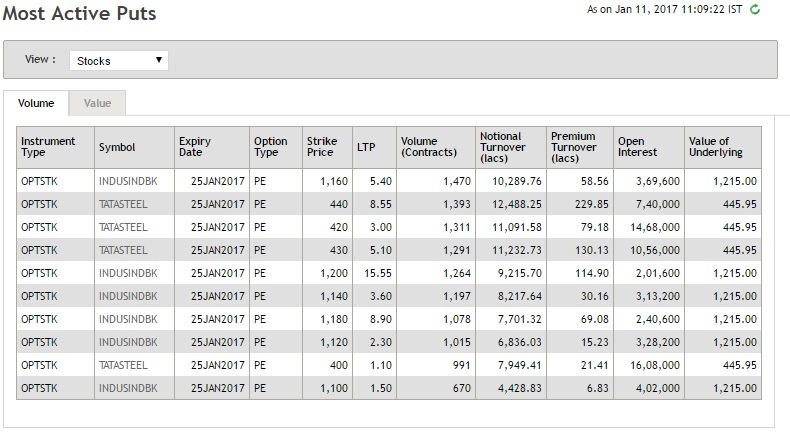 Explaining Option Buy – On paper buying an Option has Limited risk but Unlimited Profits. 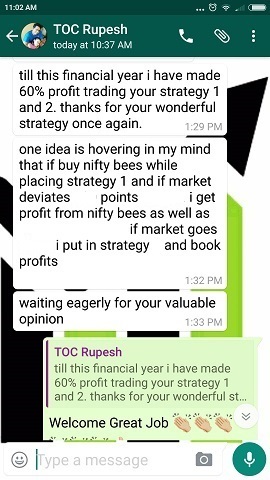 Trader B had the same view that Indusind Bank shares my fall therefore he chose to buy its ATM (At The Money) one lot Put at 15.55. They both did the trade at the same time and got the rate prevailing at that time. 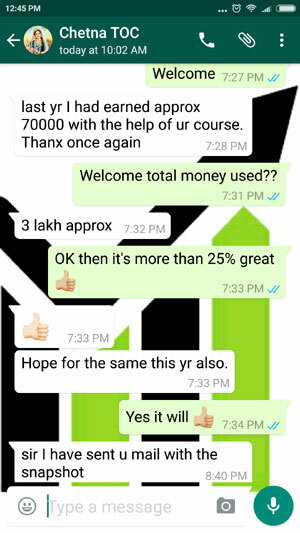 Trader B maximum profit is on paper is unlimited and the loss is limited to the amount he paid to buy the Put i.e. Rs. 9330.00. If on the expiry day if Indusind Bank stock closes anywhere above 1220 then this put will expire worthless and Trader B will lose 100% of the amount he paid to buy the put. Warning: This is where most traders go wrong. Predicting direction is a very though job for any trader. At the time of initiating the trade all traders feel that their view is right and they dream of making a lot of money within a few minutes, but they end up losing their money when the trade goes wrong. Stock markets can humble even highly educated and well experienced traders, but you have to learn something from your losses. Trading losses are your biggest stock market teachers. It is unfortunate that even after huge losses traders only buy Options looking to make that gold run one day, which never comes ever. After a few years of trading some option traders become bankrupts and leave trading forever. This is why you must trade with a plan, if not you will keep losing money forever. On paper buying a put option has huge potential for profits but limited loss. Loss we have calculated earlier. 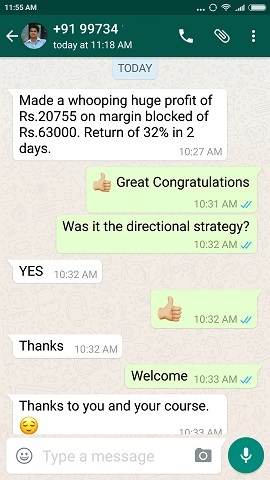 Trader B maximum loss in this trade will be Rs. 9330.00. Now let’s look at profits in the same situations almost exactly opposite of the above. Hope it is clear the more INDUSIND BANK LIMITED stock closes down from 1200 on expiry day, the more profits Trader B will make. A lot of traders use short selling of calls to hedge their stocks against a fall. This is known as covered call strategy. Basically if a trader owns a stock and he feels that the stock may fall they can sell a call option to get some money if the stock falls. You can click here to read the covered call strategy. Some traders do a slightly different trade. Instead of selling a call, they buy a put to protect the losses if the stock they hold they feel is going to fall. To protect their profits they buy (mostly ATM) put option. Some buy OTM puts. This is known as the married put strategy. You can click here to read about the married put strategy. Another difference between shorting a call and buying a put is the margin requirement. Since on paper shorting an option is unlimited loss brokers block a lot of margin when a trader shorts an option to keep the money to give back to market makers in case the trade losses money. In case the losses nears the blocked margin, either the trader is asked to deposit more money in their account or the trade is squared off as a risk management procedure. 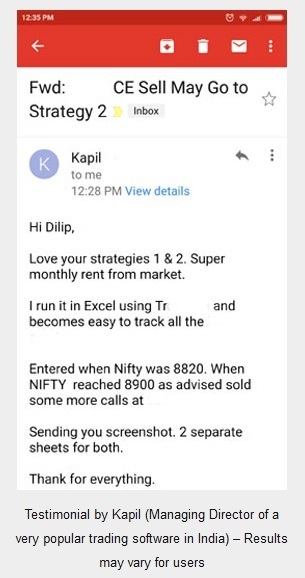 With most brokers this process is automated, they do not call the trader instead just close the trade as soon as 95% of blocked margin is the loss. 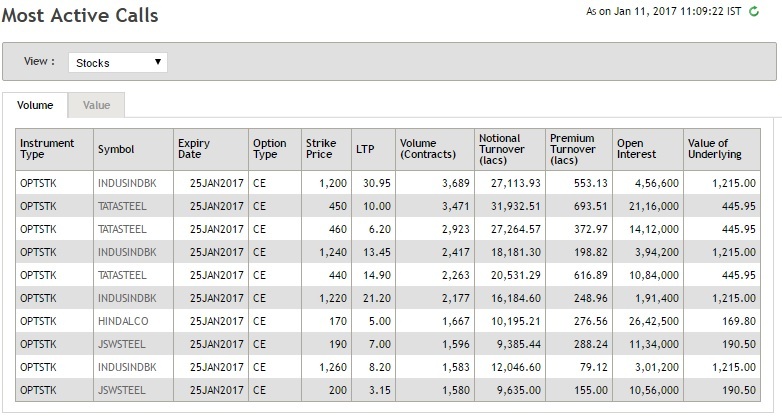 However since the option buyer maximum loss is the money they paid to buy the options no more money is blocked than the money required to buy the option. However with buying options risk is the limited time. Every derivative has an expiry date, therefore an option buyer has to be correct before the expiry date to make a profit else they lose all the money paid to buy the option and its given to the seller of that option. If you know proper hedging methods it is better to sell options, else for a small investor buying is recommended however with a strict stop loss in place. Do not let all your money go down the drain. You must know where to exit the trade. For long term stock holders it is recommended you do a thorough research on proper hedging methods before opting for covered calls or married puts. My course has a very well researched stock option strategy. During stable market conditions and bearish markets it is much better to short sell with hedging than buying options because 80% of the times markets are either directionless or just showing signs of slow bearishness. Big investors with more than 20 lakh investments in stocks for the long term may buy Puts as even if the money is lost in buying puts. It at least gives them an insurance if the stock they hold falls. Please do not forget that you need to pay for an insurance, it cannot come for free. During high Implied volatility it is recommended that you do proper evaluation before buying options, as you may have to pay a very high premium to buy puts or any option. During high Implied volatility the options are priced higher than average prices. Time decay is an important factor for option buyers. If you do not understand time decay in options it is recommended that you understand what is time decay of options before buying it. Highly helpful….Thanks for wonderful guidance..